A generation grew up playing with Action Man, Rom, G.I. Joe, Micronauts, M.A.S.K. and Transformers toys. 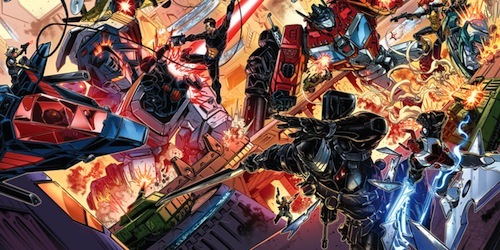 Now IDW combines Hasbro's beloved toy and animated properties into a comic book universe beginning this September. Are you excited for IDW's crossover? Let me know in the comments below.